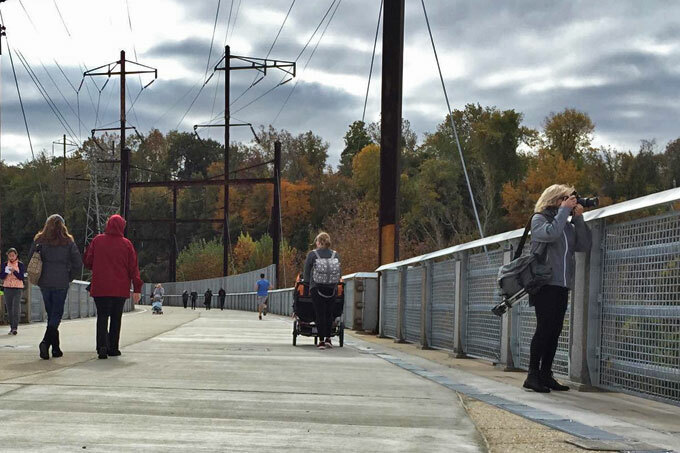 The Manayunk Bridge opened to much fanfare on October 30, 2015. Since that time, thousands of people from the Greater Philadelphia are have used it for both recreation and for their commutes. But there are lots of questions about the bridge. So, we’ve put together this page to answer all your questions. If there are any more, please email them to randy@bicyclecoalition.org and we’ll try to figure them out. Where is the Manayunk Bridge? From the Manayunk side: The Bridge entrance can be found at the corner of Dupont and High Street. If you’re on a bike, go up Green Lane, tuen left on Baker, then left on Dupont. From the Lower Merion side: It’s along the Cynwyd Heritage trail. What times does the Manayunk Bridge open and close? During Eastern Standard Time, for the time being, the bridge opens at 8am and closes at 6pm. There is a gate. This is unfortunate, sure, and we’d like to see it open at all hours. We put together a Q&A explaining the rationale behind the hours and what we can do about them. 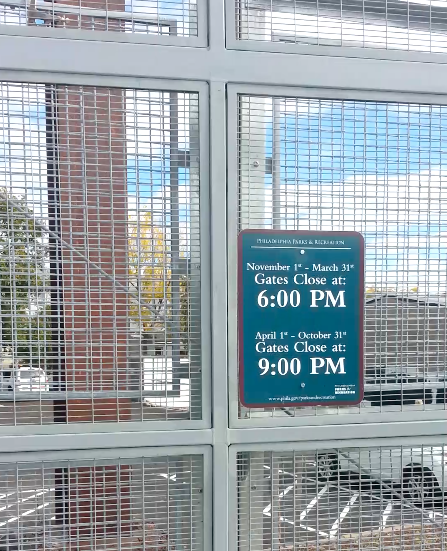 What are the hours of the Manayunk Bridge? The bridge opens at 8am and closes at 6pm from November 1-March 31. From April 1-October 31, it opens at 8am and closes at 9pm. Huh? Why does it close at all? There are a couple reasons for that. First off, technically, since the trail is part of the parks system, it closes at dusk. Given we’re now in Eastern Standard Time, it gets dark early. So that’s it? Just rework the hours? Haha, no. Officials won’t keep the bridge open after dark until there’s proper lighting on the bridge—and lighting was not part of the initial budget. But the bridge was, in part, paid for with federal transportation dollars. Shouldn’t such projects serve a transportation purpose? There is no requirement that stipulates that federally funded trails need to be open after dark to accommodate transportation needs, but trail projects that don’t benefit surface transportation are easy targets for our adversaries in Congress who oppose money set aside for trails. For the time being, nothing is going to change. The bridge will close at 6 throughout the winter. Organizers need to raise sufficient funds to add lighting to the bridge, then regroup and get the hours changed. The Friends groups (Ivy Ridge and Cynwyd) were created to help advocate/fundraise for these types of discretionary amenities beyond the core public walkway. Lighting and operations comes from different pots of money than design and construction. The Bicycle Coalition and other advocates will be involved in this process. “The public interest in this project is exciting and we will work to catch up with the expectations,” adds Leswing. Who do I contact if the bridge is closed? You can call Philly 311 and they will connect you to the Department of Parks and Recreation. 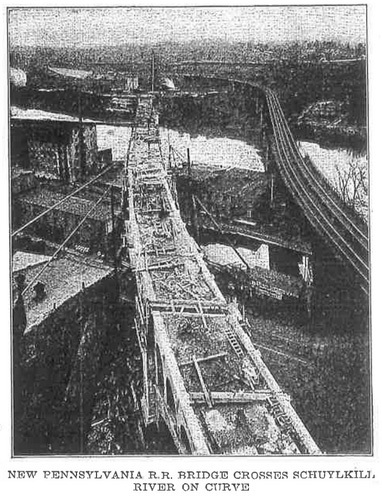 When was the Manayunk Bridge originally built? How did it become a bike/ped path? Between 2008 and 2010, SEPTA removed the track on the rail bed, opening up the possibility of converting it to trail. Two community groups, Friends of the Cynwyd Heritage Trail in Lower Merion and Ivy Ridge Green in Roxborough/Manayunk worked vigorously to remove vegetation and trash, demonstrating the possibility of restoring the rail line “right of way” into a multi-use trail. Many clean ups, walks, and meetings were held to raise public awareness about the possibility of restoring the 19th century rail line into a 21st century bicycle-pedestrian corridor. 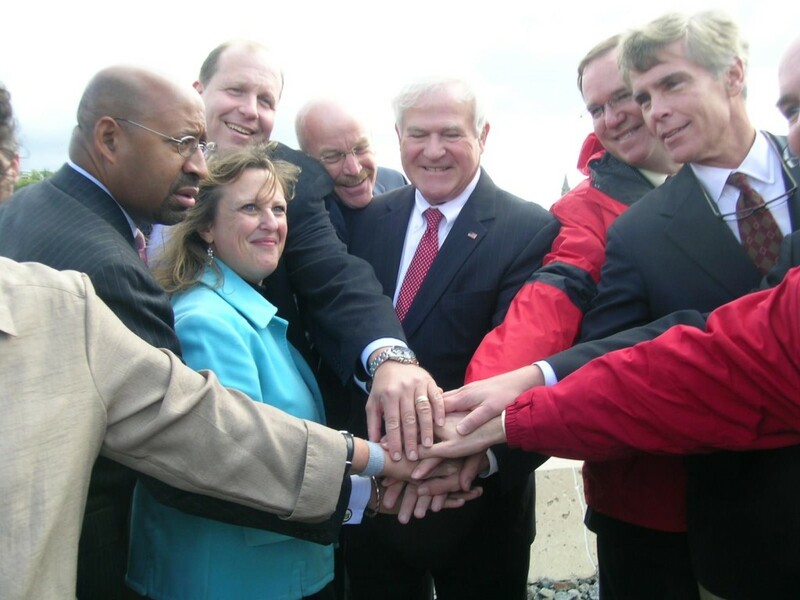 The Commissioners of Lower Merion Township leased the railbed for the Cynwyd Trail and the Manayunk Bridge from SEPTA and raised the funds necessary to construct the Cynwyd Heritage Trail, which opened in late October 2011. How did the Bicycle Coalition get involved? 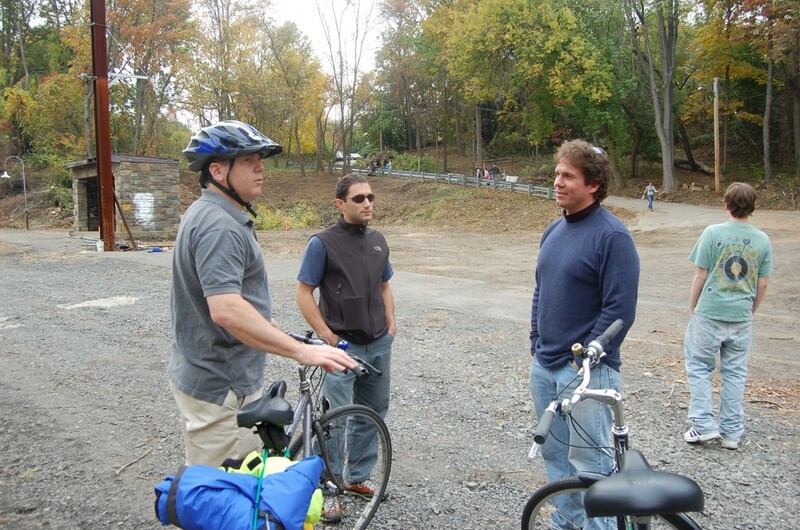 In 2008, Bicycle Coalition of Greater Philadelphia staff met and came to know the individuals and organizations who were working together to create a trail on the old railbed. At a meeting of the Lower Merion Historical Society and a walk/bike ride afterwards to see the railbed, the bridge and the possible connection down to the west side of the Schuylkill River where two additional bridges existed (the Lock Street and Pencoyd Bridges), it was clear that this potential trail should be connected to the Schuylkill River Trail and that the Manayunk Bridge would provide the reconnection that Lower Merion/West Philadelphia and Manayunk/Roxborough were seeking. 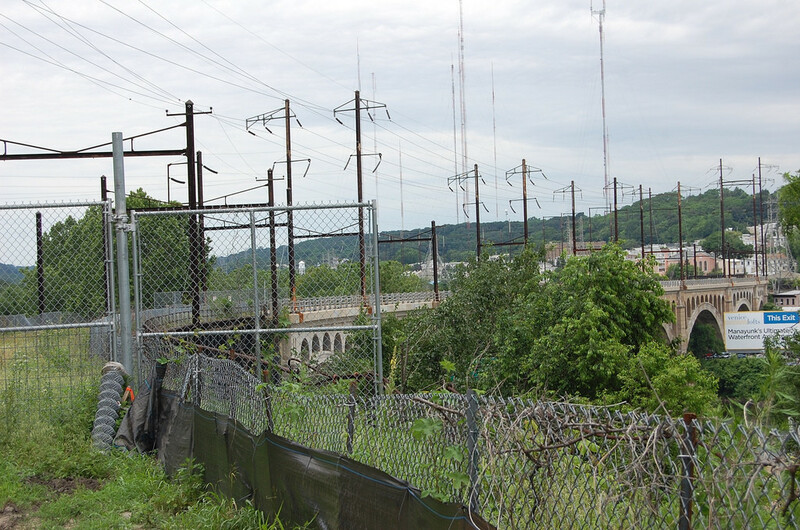 The Manayunk Bridge became one of nine identified gaps in the Complete the Trail campaign that the Coalition launched with the Manayunk Development Corporation, Schuylkill River Development Corporation, Pennsylvania Environmental Corporation and other organizations in 2008-9. In 2010, it was included in a large proposal written for 6 counties by the Coalition and Pennsylvania Environmental Council that was submitted to the US Department of Transportation for a grant to build 17 segments of trails. Ultimately, the USDOT awarded a TIGER grant for only 10 of those trail segments situated in Philadelphia and Camden, and unfortunately, the Manayunk Bridge wasn’t funded, it was considered a Montgomery County project in the application. Email the Bicycle Coalition and we’ll try to answer them!